He recently direct Free and Proud, a new play by New York writer Charles Gershman, which played Theatre 503 and The Assembly Festival before transferring to the Kings Head Theatre. His recent production of James Dean Is Dead has been nominated for a "Best Play" Broadway World Award. As a writer, he has recently signed a film option agreement with Fulwell 73 for an (untitled) major motion picture. 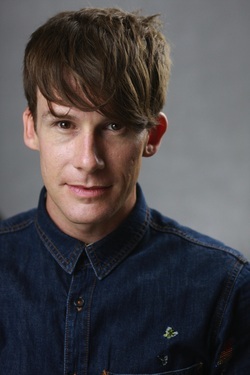 He was shortlisted by Blacklight Productions for 4 Stories, and his new play "A Tidy Boy" is being developed by Oomph!! Creative in Wales. Recently, he directed the premier of Memorare which will played from the 10th to 27th January 2018 at St. John's Lutheran Church on Christopher Street, New York. 5 Guys Chillin' is currently in development as a major motion picture Clapham Trashbag. ​His production of "Signal Failure", played Soho Playhouse, New York for a 6 week off-Broadway run. "A triumph" Washington Square News. His production of Githa played York Theatre Royal and the St James Theatre in London's West End.